Smart cities aim to improve the quality of citizen's life by infusing technology into every part of operations in the cities. The next generation mobile network, 5G, is considered as a potentially key driver for the emerging global IoT to support smart cities where the various indoor/small cell operations create a new 5G business model—the Micro Operators. 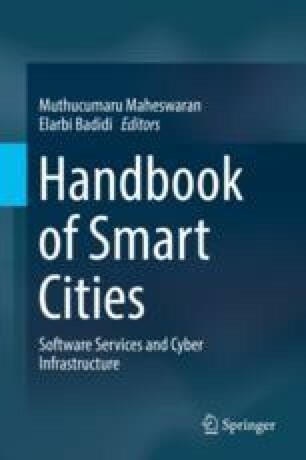 This chapter deals with the design and applications of future 5G wireless micro operators for integrated casinos and entertainment (5G ICEMO) in smart cities. We first propose a Concentric Value Circles (CVC) model for analysis of 5G ICEMO and develop the business model. A 5G Cloud-enabled ICEMO system and wireless network architectures are developed. Three illustrating cases of mega jackpot, anti-counterfeiting lottery, and autonomous transport are studied to convey the proposed 5G ICEMO architecture. Benchmarking among Las Vegas, Macao, and Singapore is analyzed to validate how the proposed 5G micro operator framework can be exploited to integrated casinos and entertainment in smart cities. Bian YQ, Rao D (2014) Small Cell Big Opportunities, Global Business Consulting. Huawei Technologies Co., Ltd., February, 2014. http://www.huawei.com/ilink/en/download/HW_330984. Schaffers H, Komninos N, Pallot M, Trousse B, Nilsson M, Oliveraie A (2011), Smart Cities and the Future Internet: Towards Cooperation Frameworks for Open Innovation, The Future Internet, 431-446. https://link.springer.com/content/pdf/10.1007/978-3-642-20898-0.pdf#page=423.